Created by the White House in September 2014, “It’s On Us” is an awareness campaign to help put an end to sexual assault on college campuses. 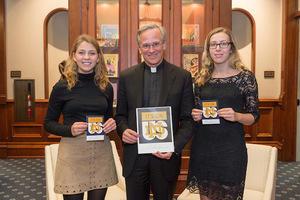 The Notre Dame initiative began four months later and includes a video in which Father Jenkins and others appear. Originally published by Dennis Brown at news.nd.edu on October 28, 2016.